Ride and Read! NEWS by Madness Photography - Onno "Berserk" Wieringa: New product at Zodiac! Progressive Suspension 490 shocks. New product at Zodiac! 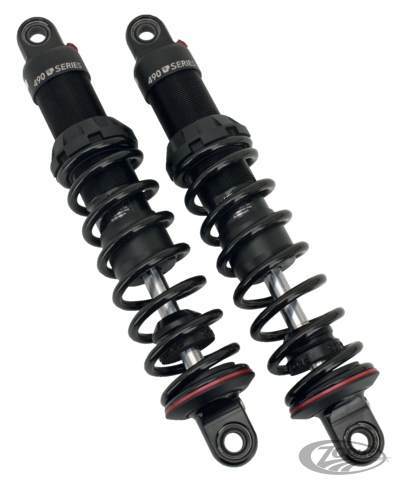 Progressive Suspension 490 shocks. A true sport performance shock at heart, the new 490 Sport Series Shocks feature a high-pressure monotube with deflective disc damping technology, hand threaded preload and a rebound adjustment to dial in the ride. This technology coupled with a linear rate spring allow for consistent feel through the damper stroke and the ability to withstand extreme temperature ranges and heavy loads. An engineered jounce bumper with a built-in metal cup also helps to smooth out and control bottoming. From pounding pavement around town to hammering around the tarmac on your next race day, the 490 is the perfect choice for your performance demand. Sold in sets of 2.